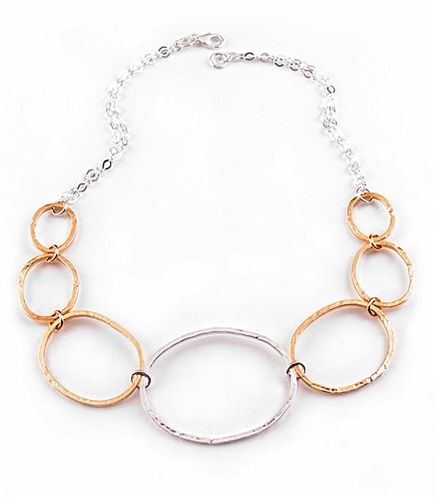 Sterling Silver Hand hammered necklace by Argento Vivo. 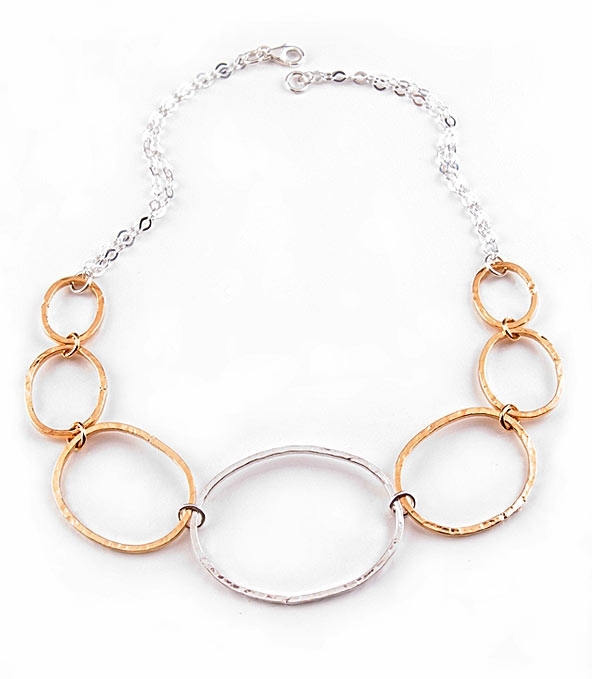 Necklace has three 18k gold vermeil over sterling silver links on each side and a large sterling silver oval link in the center. A special piece that can be used to accessorize your entire wardrobe.